Oral yeast infection sores or oral candidiasis is caused by the Candida albicans that appears in the mouth. Learn how to treat it naturally. Oral candidiasis is the result of an overgrowth of the fungus Candida albicans in the mouth. Today we share some natural remedies to control your symptoms. 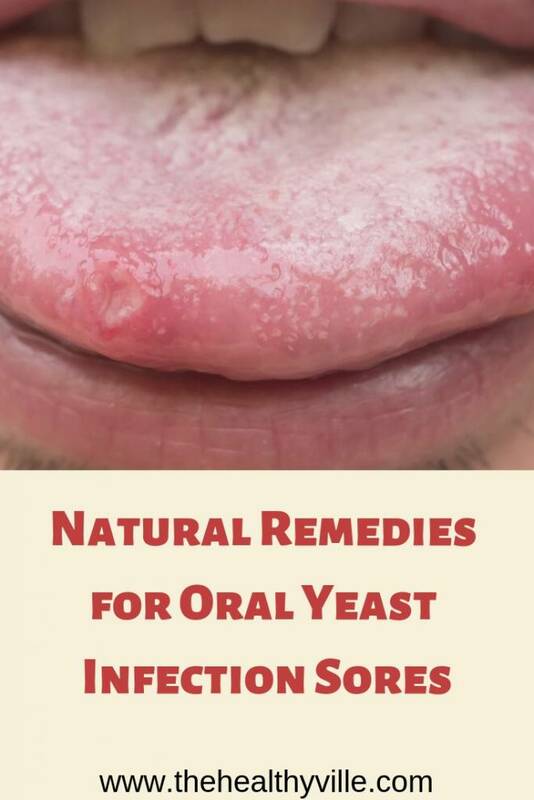 There is a wide variety of remedies for oral candidiasis that can be prepared from natural ingredients. Although in many cases it is necessary to access medical treatment, mild forms of the disease can be minimized with homemade preparations. These oral yeast infection sores usually appear due to an overgrowth of the fungus Candida albicans. This microorganism lives in small quantities in the oral cavity without causing damage. However, when it manages to proliferate uncontrollably it tends to detonate problems. Its symptoms include creamy, white bumps on areas such as the tongue and inner cheeks. In addition, it can be accompanied with problems to swallow and a bad taste in the mouth. Discover below several options to combat it. Oral candidiasis is an infection that is caused by an accumulation of the fungus Candida albicans in the lining of the mouth. It can develop at any age, but the most affected are usually children and the elderly. Fortunately, you can fight naturally. Although these solutions do not replace the antifungal medications that doctors recommend to eliminate the oral yeast infection sores, they are a good complement to alleviate the symptoms of the infection. Even, they can be the only remedy in the mildest cases. Take note! The bicarbonate generates an aggressive pH for the survival of the yeast. A rinse made with baking soda is one of the remedies for oral candidiasis. This solution has disinfectant and antifungal properties that help neutralize the action of the fungus Candida albicans. First, dissolve half a teaspoon of baking soda in a cup of warm water. Next, use the liquid to gargle for 2 minutes. Spit the rinse and repeat its use 2 times a day until you notice an improvement. One of the best remedies for oral candidiasis is nothing more and nothing less than natural yogurt with probiotics. This culture of “good bacteria” acts positively in controlling the growth of candida. In addition, it helps to restore the balance of healthy bacteria in the mouth. At the first sign of oral candidiasis, consume two servings of plain yogurt a day. Of course, make sure it is free of sugar, as this substance “feeds” the yeast. Among its properties, lemon juice works as an antiseptic, which can be effective in the control of candida. Lemon juice is attributed many medicinal properties. Among them, it should be noted that its components have antiseptic and antifungal effects. Therefore, it is a good ally to deal with oral candidiasis and its symptoms. You have two options: combine the lemon juice with warm water and rinse 3 times a day. You can also make a tea with the juice and preferably consume it on an empty stomach. Turmeric does not stop surprising us with its applications in natural medicine. In this opportunity, we highlight it as a solution to accelerate the recovery of oral candidiasis. According to an investigation, curcumin has an antifungal effect to fight several types of candida. First, heat a cup of water. When weed, add half a teaspoon of turmeric. Optionally, add a pinch of black pepper. Take the remedy to sips 2 times a day until relieving the infection. Some essential oils are great for their antifungal and antimicrobial properties. Oregano essential oil is a product with antimicrobial and antifungal components. These qualities have been taken advantage of in many alternative treatments. Therefore, we highlight it as one of the remedies for oral candidiasis that can minimize its symptoms. Pour 2 drops of oregano essential oil into a glass of warm water. Next, you have gargle with the solution for 2 minutes. Spit the remains and repeat their use 2 times a day. Caution: essential oils should not be ingested for any reason. In addition, the ideal thing is to dilute them in water, as they can be aggressive. Follow the instructions. Further info: See How To Use Oregano Oil For Sinus Infection, Cough And Allergies! Most cases of oral candidiasis are not serious and, in fact, disappear without treatment. However, when the person has a weakened immune system, it is best to consult a doctor. Untreated infection tends to spread more easily in these patients. If the symptoms do not improve in a few days it is important to receive a professional diagnosis. There are other conditions whose symptoms are similar to those of oral candidiasis. Therefore, a different treatment may be necessary. Some natural remedies are not suitable for babies, children or pregnant women. Thus, before trying them, it is essential to ask the doctor. Do not ignore that they can also have interactions with certain medications. Are you experiencing the typical symptoms of oral candidiasis? Then try some of the remedies mentioned. Yes, follow the recommendations to ensure you achieve good results. Don’t forget to SHARE how to cure oral yeast infection sores with your friends and family on your social networks!